In those early days with your baby, it is exciting to look ahead to all of the wonderful possibilities that await you and your little one. One of the things I was really looking forward to was taking Leo swimming for the first time, and at 12 weeks that is exactly what we did. With swimming comes a whole new range of questions and worries, or at least that was the case for me. What should I put Leo in to go swimming? What about nappies? The questions are endless but it does not have to be such a worry. 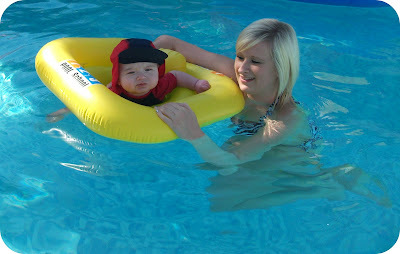 Swimming is all about bonding with your baby and enjoying yourself. Splash About have over 20 years experience in the swim wear and clothing industry, in which time they have developed products for babies, children and adults. Back when the company were first finding their feet (or flippers...) they believed in their products so much that they maxed their credit card limit in order to purchase stamps! Stamps they used to send out their products to journalists in the hope that they believed in their products too. Luckily they did and they were soon balled over by the positive response of those wanting to purchase their swim wear. What do Splash About have to say? 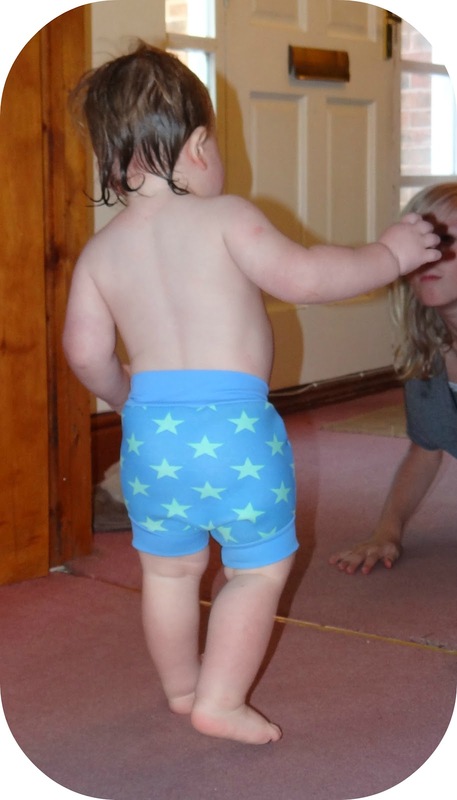 One of Splash About's best selling products is the award winning Happy Nappy, and they have very kindly sent one out for Leo to trial in the attractive Blue Star's design. The Happy Nappy is a re-usable nappy that comes highly recommended by all of the major swim schools. Some swim schools require you to have one, and when I was looking into baby swimming classes with Leo this was one of the requirements. The Happy Nappy's are made of 1mm supple, stretchy neoprene and completed with super soft bands of fabric with a high rubber content, to keep everything inside the nappy...inside! The design is so simple and easy to use, the bands and rubber mean that you have no ties to fiddle with and no Velcro to fasten. The Happy Nappy can be used on its own with a conventional nappy or completely on it's own. Splash About to recommend a nappy liner for the ease of cleaning for which they offer the Nappy Wrap (a soft, white cotton nappy wrap held in place with Velcro) option or disposable liners (soft, biodegradable flush-able liners). What did Leo and I think? As I didn't have any disposable nappy liners I put Leo in a conventional nappy and paired it with the lovely Happy Nappy. I showed Leo the stars that were dotted all over and he seemed to like it. 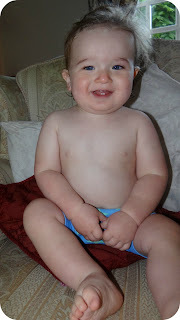 I began to put the Happy Nappy on him and I was very impressed with how snugly it fit him. Leaving no gaps eliminating any chance of an embarrassing leak taking place. Leo was happy with how free how was to move around, even run around in Leo's case. 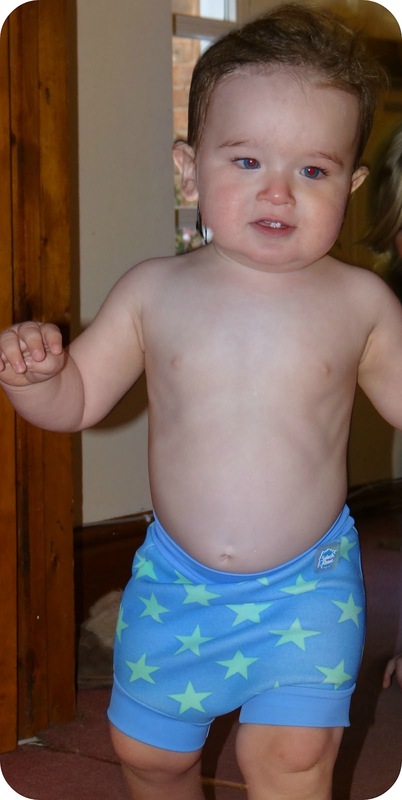 Unfortunately I could not snap any pictures of him in the swimming pool due to the pool guidelines, but I have got some great shots of the nappy being worn by Leo. Leo enjoyed his swimming session and the nappy kept any not so pleasant surprises at bay. 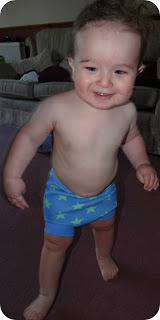 I would very confidently use the Happy Nappy with the liners as I feel the fit is perfect. Happy Nappy's come in a exciting range of different designs and colours and retail from £7.50. For further information please visit the Splash About website where you will find details on all of their products. Disclaimer: I was sent a Happy Nappy for the purpose of this review, however all views and opinions are completely honest and my own.